Let’s get rid of the suffering and bring real peace, which is not just the absence of war, but the absence of all negativity. Lynch, David (@DAVID_LYNCH). “Let’s get rid of the suffering and bring real peace, which is not just the absence of war, but the absence of all negativity.” 14 Sep 2011, 3:07 p.m. Tweet. Source: Lynch, David (@DAVID_LYNCH). 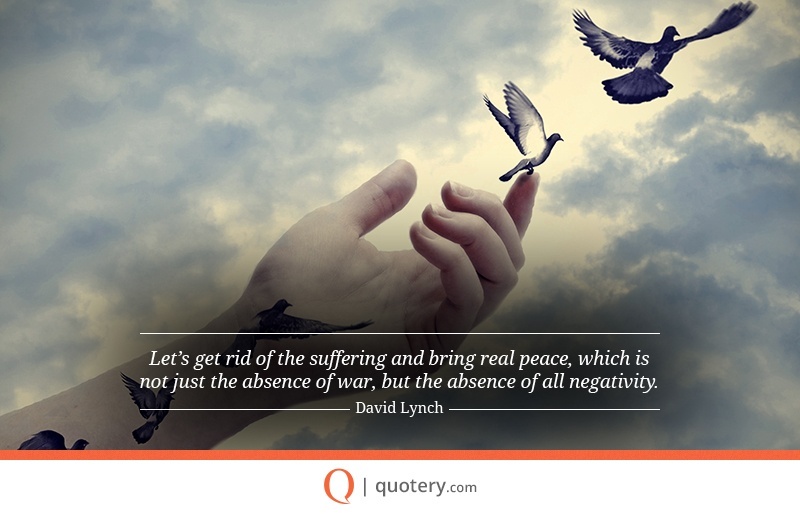 "Let’s get rid of the suffering and bring real peace, which is not just the absence of war, but the absence of all negativity." 14 Sep 2011, 3:07 p.m. Tweet.